Joan Hutton is a Minneapolis-based educator, performer and composer, originally hailing from Toronto, Canada. Her varied musical interests have led her over the years to jazz, classical, funk, free improvisation, pit orchestras and more. She is a member of the Ancia Saxophone Quartet, one of the Midwest’s top chamber ensembles, which performs nationally and internationally and is featured frequently on National Public Radio’s “Performance Today.” Joan plays with the jazz-funk sextet Rare Medium and composes many of their tunes. Her newest group, the Joan Hutton Jazz Project, was formed in 2017 to showcase her original compositions and has since performed at many jazz venues around the Twin Cities and been featured on 88.5 KBEM-FM. 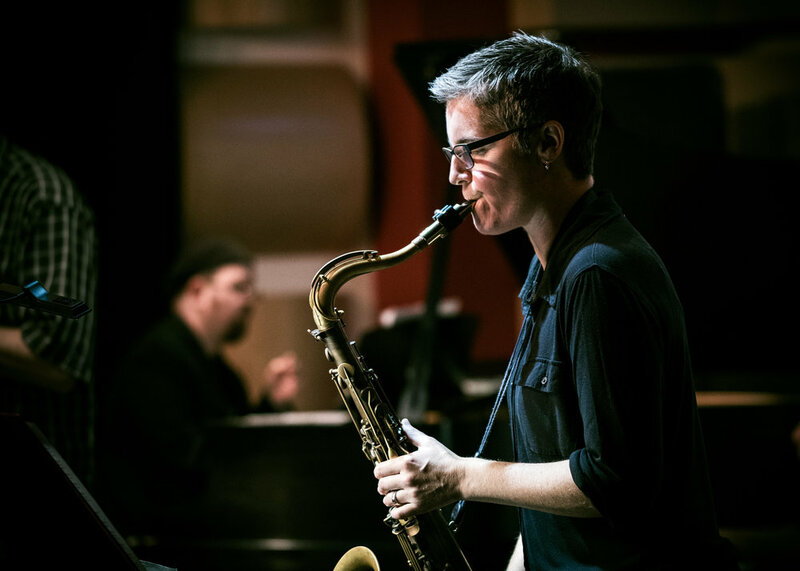 As a dedicated educator, Joan teaches at Augsburg University and has a large studio of saxophone and clarinet students throughout the Twin Cities.